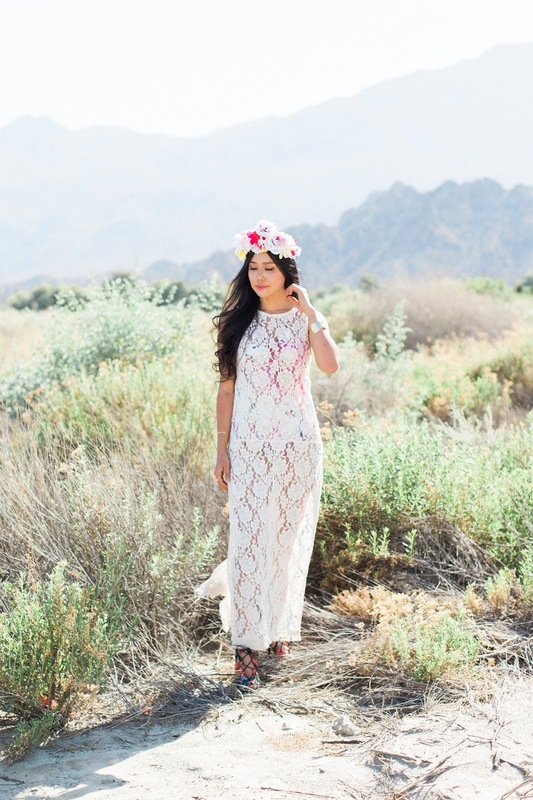 Spring bloomed in the Coachella desert as florals flourished and lace reigned. Inspired by the Coachella Rose Garden, I crowned both head and toes in florals at the "Outstanding In the Fields" festival dinner. 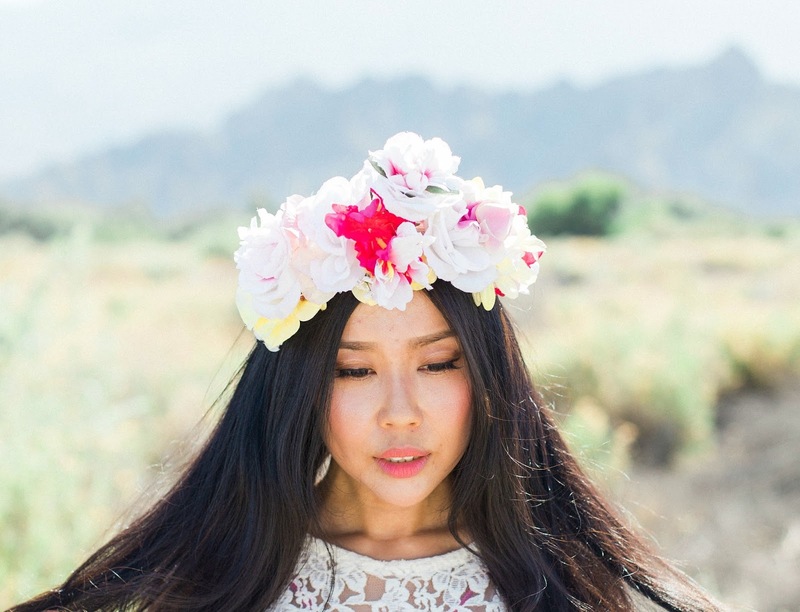 On the second day of Coachella, we vowed to eat. Friday forage was pitiful as we powered through the entire day subsisting on mere morsels, just puny pieces of tuna tartare absconded from the H&M party. Saturday morning, I awoke with an unrelenting hunger and determination to confirm the day's food schedule. I needed certainty. This year, Coachella offered a few fabulous sit-down dining options that include prixe fixe meals at pop-up restaurants like Scratch | Bar and Pot. They also have a bougie VIP four-course "Outstanding in the Fields" dinner where every night a different trio of venerable LA chefs guide diners through a culinary experience. The allure of dining al fresco under strings of lights in the Rose Garden while thumping to the base dropping in the Sahara Tent was enough for me to go on Reserve, the official Coachella dining concierge, to book and pre-pay for the four-course dinner. To match the theme of a romantic dinner in the Rose Garden, I packed my DSW floral heels in my backpack to dip into once we arrived. The romantic heels inspired the rest of the outfit as I paired them with a floral bodysuit layered underneath my favorite lace dress. Floral heels are always a great way to celebrate Spring as it's a trend that never stops blooming! The dinner was such a unique experience. We sat at a long communal table tucked in the back corner of the Rose Garden. Our place settings were like snowflakes, as not one matched the other. We got to know our neighbors, drank wine together, and shared plates of food like we were old friends. It was yet another uniquely Coachella experience that lives in my festival memory bank!